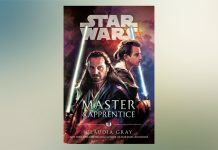 Earlier this month we saw a blurb for author Claudia Gray’s upcoming Star Wars: Master & Apprentice novel and now we have an exclusive excerpt today to go along with that courtesy of StarWars.com. 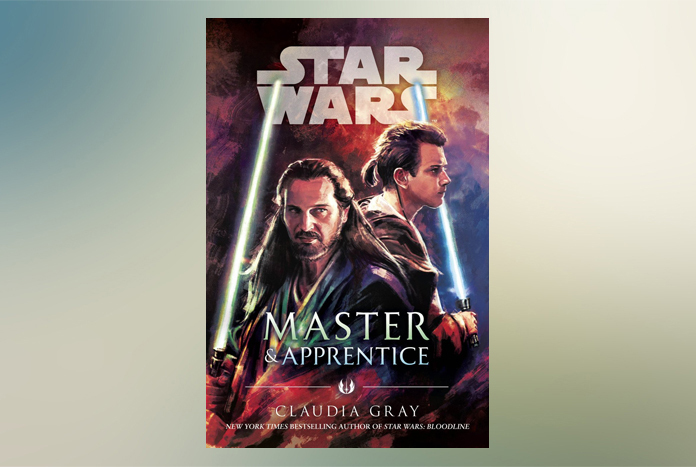 Master & Apprentice was announced during SDCC last year with the official cover artwork for the title revealed back in October. The 352-page title will be available in Hardcover, Ebook, and Audiobook format on April 16 (you can place your pre-order right here). Check out the excerpt copied below. As ever, after a mission, Qui-Gon had been summoned to the Jedi Council’s chambers for his report. It was nighttime—later than the Council usually met, at least for ordinary business—and the darkness around them was illuminated by the cyclone of Coruscanti traffic and ships’ lights. Yet here, within this room, a sense of serenity prevailed. Qui-Gon relished the contrast. Agreeing to that proposition—sensible though it was—would mean shifting some of the blame onto Obi-Wan, which Qui-Gon preferred not to do. He simply remained quiet. The Jedi Council had a habit of assuming that silence equaled agreement; Qui-Gon had found this habit useful, from time to time. Regardless, he expected the Council to eventually ask him if he wanted them to reassign Obi-Wan’s training to another Master. He’d known before this meeting began that they might even ask the ques­tion tonight, but he still wasn’t sure what he would say. The suspense seemed worse than he would’ve anticipated, maybe because he didn’t know what he wanted to answer . . .
. . . or because the silence in the room had lasted a suspiciously long period of time. Qui-Gon focused his attention back on the Masters surrounding him. They were exchanging glances in what seemed to be anticipation. He straightened. “Have you another mission for us?” Maybe they in­tended to test him and Obi-Wan one more time before any decision about reassignment would be made. Had he misheard? No, he hadn’t. Qui-Gon slowly gazed around the circle, taking in the expressions of each Council member in turn. Some of them looked amused, others pleased. A few of them, Yoda included, appeared more rueful than not. But they were serious. “I admit—you’ve surprised me,” Qui-Gon finally said. “Truth, this is,” Yoda said. Is the Council actually making sense? Qui-Gon hoped none of them had picked up on that thought. It was a delicate line to walk, one Qui-Gon had stumbled over on many occasions. But those occasions had become rarer as the years went on. He’d learned how to handle the Council well enough. Now, it seemed, the Council had become ready to hear him in return. Qui-Gon had never imagined sitting on the Jedi Council itself, at least not since he was a youngling. Dooku had chuckled once, early in Qui-Gon’s training, when they spoke of the Council. “You have your own mind, my Padawan,” he’d said. 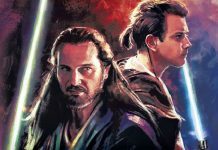 “The Council doesn’t always re­spond well to that.” Given how many times Qui-Gon had clashed with the Council—from his earliest days as a Jedi Knight up to six weeks ago—he’d always assumed that he would never ascend to the heights of the Order. But now it could happen. Would happen. He’d be able to weigh in on the Council’s decisions, and perhaps create some of the change he wanted to see. It was the greatest opportunity of his life. “You honor me,” Qui-Gon said. “I ask for some time to meditate upon this before I accept.” Of course he would take the seat on the Council. But in doing so, he wanted to more fully reflect upon how this would change him, and the breadth of the important role he would assume. Laughter went around the room. Amusement bubbled within Poli Dapatian’s respirator mask. Depa Billaba’s grin was infectious, and Qui-Gon realized he was smiling back at her. Although the Council had never been hostile to him, this was the first time Qui-Gon had felt a deeper camaraderie—the friendliness of equals. 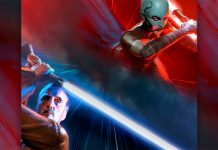 Already Teth and the Hutts seemed like a problem from years ago. The future shone so boldly that it threatened to eclipse the present. Steady, he told himself. Even an invitation to the Jedi Council mustn’t go to your head. “Of course,” Qui-Gon said. Hadn’t he just indicated that he in­tended to do exactly that? Only then did it hit Qui-Gon: If he took a seat on the Council, then Obi-Wan would be transferred to another Master. It wasn’t forbidden for a Jedi on the Council to train a Padawan learner; one of Qui-Gon’s crèche-mates had become the Padawan of Master Dapatian, back in the day. Exceptions had been made during times of crisis as well, when everyone needed to take on extra duties. But such exceptions were rare. Serving on the Council required a great deal of time, concentration, and commitment. 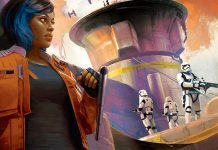 Balancing that com­mitment with the equally sacred task of training a Padawan—well, it would be a difficult situation, one potentially unfair to both Master and student. Only those who had served on the Council for a long time, and had adjusted to its demands, contemplated such a step. “Of course,” Depa said warmly. Yoda nodded, clutching his gimer stick and saying nothing. Qui-Gon walked out of the Council Chamber into the Temple in a strange state of mind. He couldn’t call it a daze, because this was in some ways the exact opposite. Every detail of his surroundings struck him with fresh vividness, whether it was the colorful patterns of inlaid marble beneath his feet or the scarlet trim on a young Jedi Knight’s gown. It was as though the invitation to join the Council had given him new eyes. A new way of seeing the world, one that he would no doubt spend the rest of his life learning to comprehend. The Council, he said to himself. By the Force, the Council. Perhaps another Jedi might have given way to elation, or even the temptation of pride. Qui-Gon Jinn was made of sterner stuff. Besides, he couldn’t bring himself to feel entirely happy when he considered the question of Obi-Wan. He’d already come to believe that they were mismatched as teacher and student. The main reason Qui-Gon hadn’t asked for a transfer before was that he knew Obi-Wan would be hurt by it, and would blame himself. The Council’s invitation would allow the transfer to be impersonal, merely practical. Obi-Wan could then be reassigned to a teacher who would serve him better. Why, then, did the idea fill Qui-Gon with such a profound sense of loss?